When one hears the words “Fifth Avenue”, fine shopping springs to mind. “Fleet Street” stands for the British national press and “Madison Avenue” for advertising. There are many more metonymies for other industries and professions. And, then, there is “Akti Miaouli”. In all out travels, it never fails to amaze us the magic touch of the word, the matter of shipping companies managing thousands of merchant ships worldwide from Akti Miaouli, the sterling address of vessel managers from where remittances and paychecks for seafarers originate, the connotation of a gilded boulevard by the port where supernaturally rich shipowners have their family offices. Akti Miaouli stands to the world for Greek shipping. There are reportedly close to one thousand Greek shipowners and vessel managers today based in Greece. Although only 1,350 merchant vessels worldwide fly the Greek flag (vs 7,900 and 5,400 vessels for the Panamanian and Japanese flags, respectively,) according to the most recent annual report of the United Nations Conference on Trade and Development (UNCTAD), Greek shipowners top the world list with ownership of 4,200 merchant vessels and a cumulative tonnage of 310 million deadweight (while world’s second biggest owner Japan owns 3,900 merchant vessels at 224 million deadweight.) Greece controls appr. 17% of the world’s merchant fleet. For an island nation like Japan with a large population, heavy industry and shipbuilding and a robust financial system, one can understand the competitive synergies the country lays for a massive merchant fleet. Likewise, for countries with certain competitive advantages like ease of access to capital in the United States and Germany or an extensive coastline like in Indonesia or tax efficiencies like in Panama and Singapore or massive “state support” (loosely defined) in the People’s Republic of China, one can appreciate the reasons for these countries having a great number of merchant fleets. But Greece? Besides its coastline (appr. 13,700 kilometers, almost as long as PRC’s 14,000 kilometers, but a fraction of Indonesia’s 54,800 kilometers,) Greece has no trade, no heavy industry (or industry at all, quite frankly,) a small population of eleven million people, no industrial shipbuilding, no substantial banks or financial institutions. Trying to analyze the industry and the business environment, an economics student would have a hard time to make the case in a college class paper that Greece could ever be a meaningful player in the world of merchant shipping. Possibly the very same reasons that have prevented Greece from becoming a world power in modern history may have propelled the country in the world of shipping. There are 6,000 islands in Greece (but 18,000 islands in Indonesia’s Archipelago,) some of them no more than a rocky speck in the richly blue Aegean Sea where life is not easily sustainable; many islanders took to fishing and fishing boats and diving (famously for sponge in the Dodecanese) and costal ferries and then international merchant ships, as ratings at first and then officers and engineers and captains. Almost all Greek shipowners originate from the Greek islands, whether of the Aegean or the Ionian Seas, and almost none from the continental, mountainous Greek. They worked hard and sacrificed a lot and risked even more, and paid their dues to climb the learning curve and eventually start buying their own ships; some British rust buckets that were going for scrap in the 19th century, many more Liberty ships in the 20th century, and many many more newbuildings at the turn of the century. 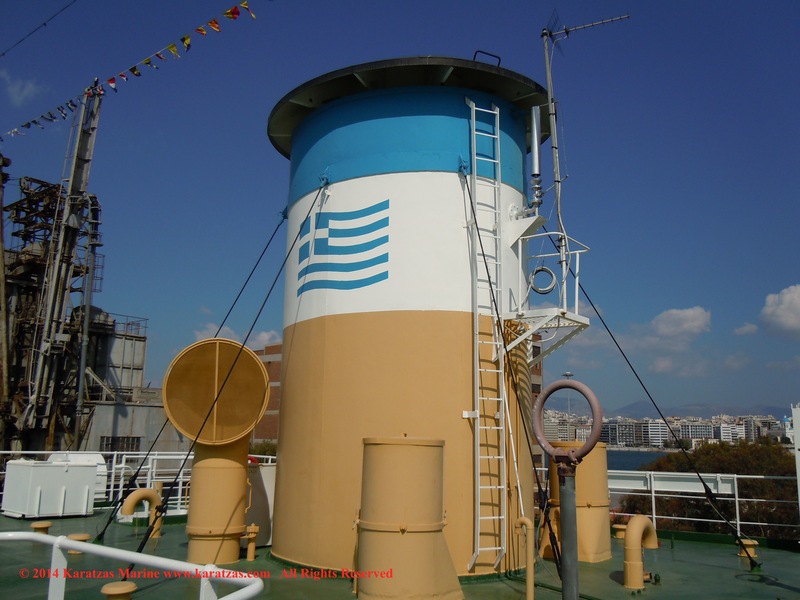 As stated in previous blog, shipping and especially the drybulk market were the textbook example of what economists define perfect competition, and the shipping expertise and hard work served Greek shipowners very well. It’s not usual to meet today third and fourth and even fifth generation Greek shipowners, just as one sees shops and businesses in England and Germany established in the 18th and 19th centuries. Greek shipowners worked very hard and “added value” – as we would say today – to the world’s trade; of course, they benefited from circumstances – some legitimate but some questionable (at least by today’s standards), but they run ships cheaply and efficiently, the envy of the world. And, their “nose for the market” to time the market prudently to buy “cheap ships” in bad times and sell them at a multiple a few years later in better times only added to their reputation as shrewd people of the sea. 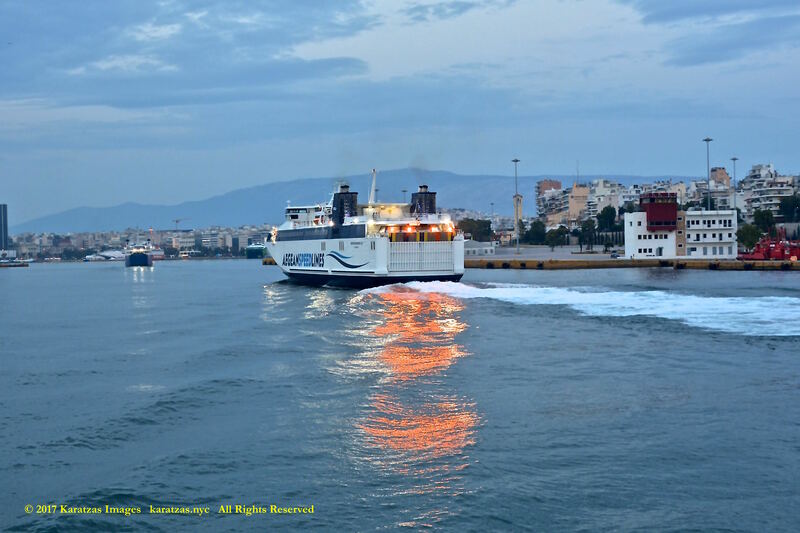 Akti Miaouli and the passenger Port of Piraeus, Greece. Image credit: Google maps. 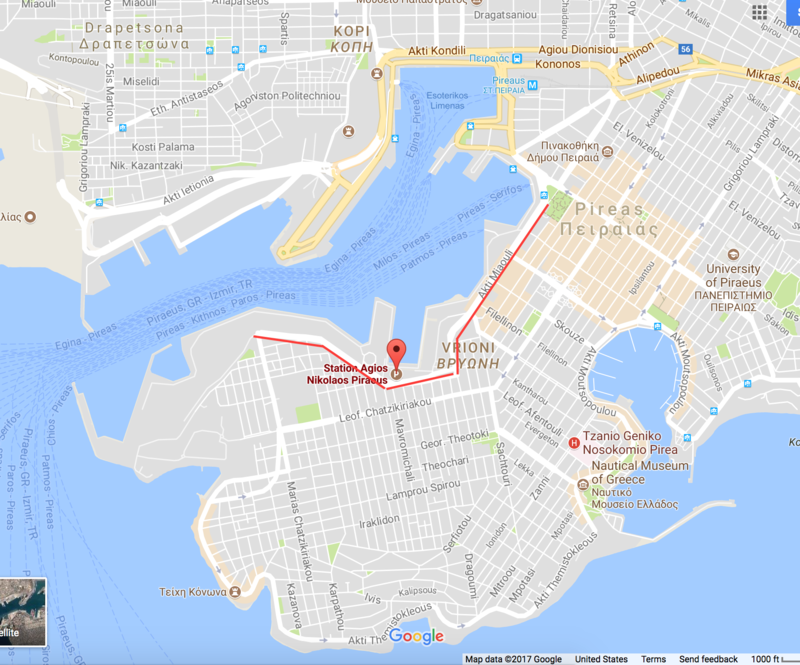 Like many industries in our age, the internet (and also other factors for Akti Miaouli) brought a diaspora of shipping companies from Akti Miaouli, whereby some moved to the northern and others to the southern suburbs of Athens. Akti Miaouli (meaning Miaouli Coast, Andreas Miaoulis being a Greek admiral and hero of the Greek War of Independence against the Ottoman Empire in the 19th century) is today a shadow of its old glory with only smaller shipping companies (and some service providers such as shipbrokers and adjusters and insurance agents) being still placed there. As shipping keeps facing challenge after challenge after challenge in the last decade, some have been worrying about the state of Akti Miaouli. Yes, the shipowners of Akti Miaouli had been extremely graceful and managed to excel at handling the crises handed to them since WWII, but would the new market – where financiers opt for big corporate structures of a shipowner and charterers do differentiate in favor of big and modern fleets – still be a productive market? I still remember like yesterday an experience from almost fifteen years ago on a cold, wet winter night with the deck lights glimmering in heavy fog, when I boarded an aframax tanker in Lake Charles, LA as a husbandry agent; the Filipino able man standing guard at the gangway, upon learning that I was originally from Greece, started asking magical questions about Akti Miaouli (where the management of the tanker and his paycheck was coming from); as almost Akti Miaouli was some sort of Shangri-La and Promised Land together, a place from where the world’s merchant fleet was transcended to the seven seas and where the streets were lined up with treasure caskets. This entry was posted in Maritime History and tagged Akti Miaouli, Basil Karatzas, Chandris, Greek shipowners, Karatzas Marine Advisors, Lemos, Livanos, Piraeus, Piraeus Marine Club, St Nicholas Church on December 26, 2017 by Karatzas Marine Advisors & Co..
We often tend to pay special honors, and rightly so, to the crucial battles that took place at decisive moments and changed the course of a war or possibly history, and we often tend to put special emphasis on the bigger than life generals and admirals who were the protagonists and their landmark battlefields and flagships, while the ‘smaller’ efforts and ingenuity to make the battleships and flagships victorious are often referred to the little known minutia of great story telling and away from the attention of the headlines. 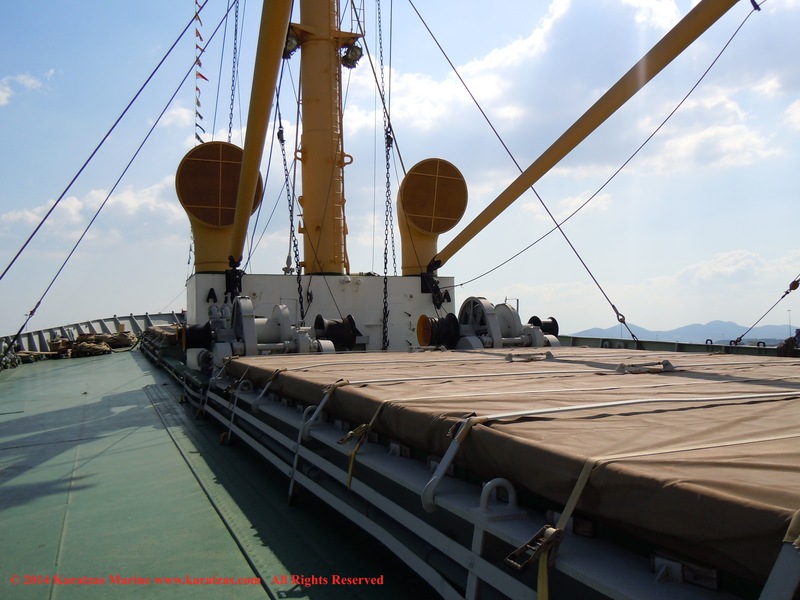 While we were celebrating ‘D Day’ recently and the landing of the Allied forces at the beaches of Normandy, and while in Greece attending Posidonia, we had the serendipitous opportunity to attend a special event and visit a ship that perfectly fits the concept of the ‘unsung hero’. During World War II, Nazi U-boats sank in the Atlantic about 3,000 Allied ships, about 2,800 of which were merchant ships; assuming that WWII lasted six years, the rate of casualties were almost one ship per diem in the Battle of the Atlantic. With the US as the only Allied power with its infrastructure intact, there had to be a quick way to move troops, ammunition, provisions, equipment, etc across the Atlantic and to the battlefields, in a sort of a floating pipeline, despite the efforts and successes of the Nazi U-boats to keep supplies short. The answer to a seaway ‘conveyor’ was to keep building cheap ships fast; actually keep building them faster than the Nazis could sink them. Cargo ships that were built during WWII under the directive to supply the Allied forces eventually came to be known as ‘Liberty Ships’. At a nominal cost of $2 mil (about $34 mil today), 2,710 such vessels were built in eighteen shipyards in the US. The original design was based on British vessel designs developed in the late 19th century; however, adapting the design in the US, several modifications were adopted in order to make the vessels slightly larger, but more importantly, cheaper and easier to build. Riveting in the original design gave place to welding, thus providing one-third savings in labor costs. Two oil-fired boilers were installed and the engine was a simple triple expansion steam engine of 2,500 hp output that could propel the 10,000 dwt vessel at 11 knots (steam turbines engines were known at the time, but they more complicated to build as more precise, and such building capacity was reserved for navy ships). These US-modified ships were designated as ‘EC2-S-C1’: ‘EC’ for Emergency Cargo, ‘2’ for a ship between 400 and 450 feet (120 and 140 m) long (Load Waterline Length), ‘S’ for steam engines, and ‘C1’ for design C1. Approximately 2,400 Liberty Ships survived WWII and more 800 of them used afterwards as cargo / merchant vessels. Three of these Liberty Ships survive today in whole: two of them are fully operational and used as museum ships (SS „John W. Brown” in Norflok and SS „Jeremiah O’Brien” in San Francisco), and a third vessel has been fully restored – but not operational as a ship, in Piraeus, Greece: SS „Hellas Liberty”, originally built as SS “Arthur M. Huddell”. Greek shipowners acquired about 525 of the remaining ships after WWII, on favorable terms as compensation for their and Greece’s heavy casualties in shipping during the war (the exact circumstances of the transfer can be debatable), and these vessels constituted the ‘seed fleet’ of many Greek owners and their springboard to the top leagues of world shipping. 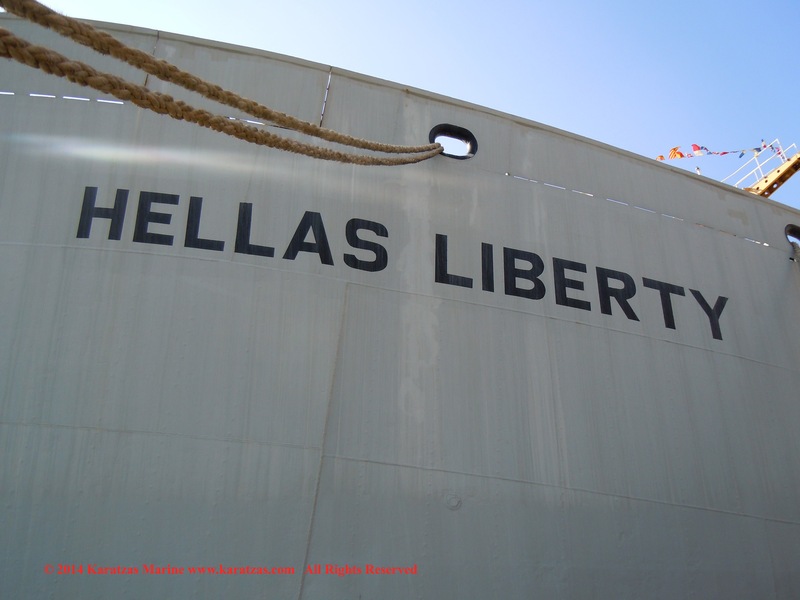 Onassis, Livanos, Niarchos, Theodoracopoulos, Goulandris are a few of the well-known shipping names acquiring Liberty Ships. The truth is that these ‘ugly ducklings’ were built in less than ten days on average, and they were never intended to be quality ships; they were the original ‘disposal’ items of our society when it was expected that most of them would not last more than two-three crossings of the Atlantic, so no special attention was given to quality and durability. When Greek owners were buying them on preferential terms, they were cheap ships expected to last a few years and not the several decades that some of the Greek owners managed to squeeze out of them. It’s natural then that ‘Liberty Ships’ have a special place in the Greek shipping psyche. 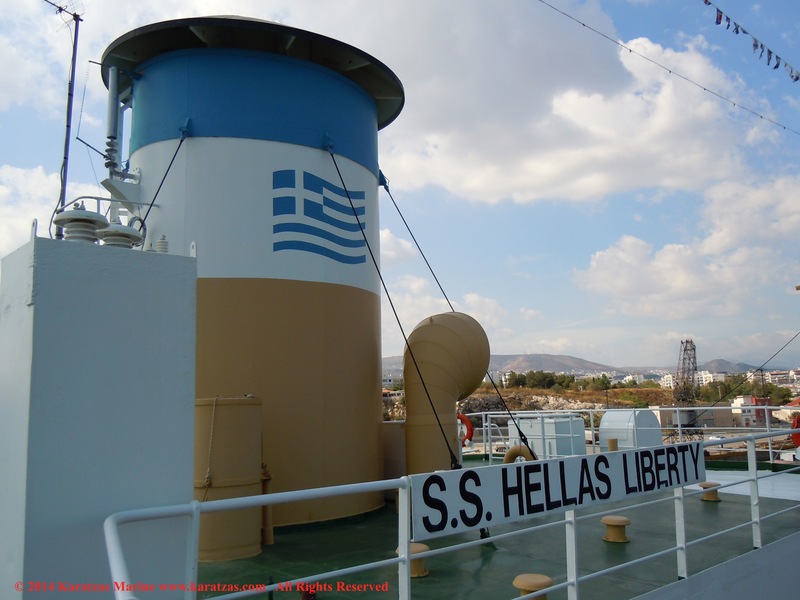 Upon efforts initiated by shipowner Spyros Polemis of Remi Maritime, and after significant lobbying in the US, President Bush 43rd signed legislation passing ownership of the vessel SS „Arthur M Huddell” to the Greek committee in 2008. The vessel had been at lay-up since 1984 and he was in severe state of decay in Norfolk, Virginia, when ownership was passed to the Greek committee; further, the vessel had been cannibalized for parts, including losing her rudder and propeller, for the surviving vessels SS „John W Brown” and SS „Jeremiah O’Brien”. The Greek committee had to arrange for ocean-going towing at its own cost and risk to bring the vessel to Greece in late 2008 and eventually the vessel finished restorations in 2010. Many people in Greece and abroad, in shipping and in other industries, gave generously of their time, efforts, love and money for the vessel to be restored with Captain Vassilis Konstantakopoulos (now deceased) founder of Costamare being instrumental in the efforts, including providing most of the funding, rumored to be approaching $10 million. The keel of SS „Arthur M Huddell” (IMO No 5025706) was laid in late October 1943 and the vessel was launched in December of same year from St. Johns River Shipbuilding, Jacksonville, Florida. She’s 441 ft 6’’ long (134.6 m) with a molded beam of 56 ft and 10.75’’ (17.3 m) and draft of 25ft and 3.25’’ (7.7 m). 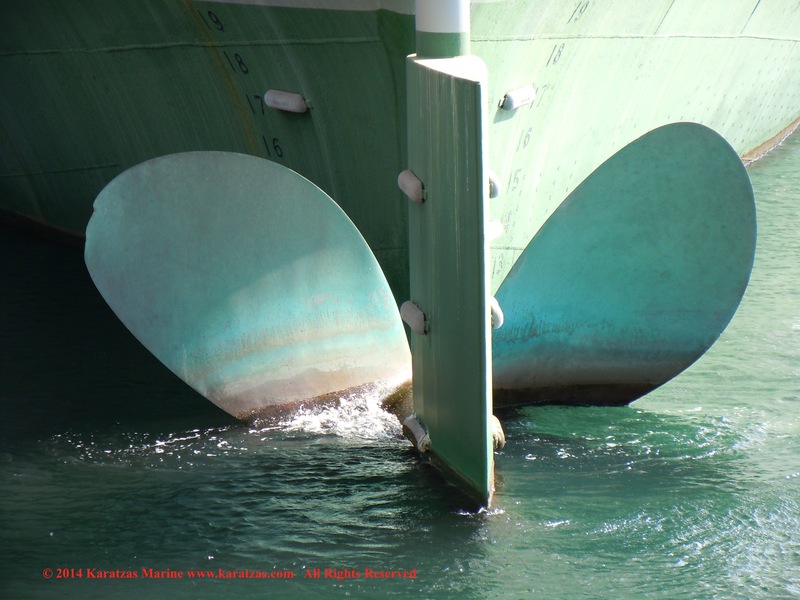 Typical to a ‘Liberty Ship’ arrangement, she has five cargo holds which were sub-sectioned, almost similar to a tweendeck vessel, with the lower section of the holds able to store either dry bulk or liquid cargoes. Once upon her delivery, she carried explosives to Europe during her first voyages, and later in 1944 she was partially converted to a pipe carrier by modifying her two aft cargo holds. The vessel was used under the PLUTO operation, laying an undersea pipeline between England and France during WWII in order to provide fuel the armies following the Normandy landing. After the end of the war, the vessel was laid up until 1956, when chartered to AT&T and converted to a cable laying vessel. 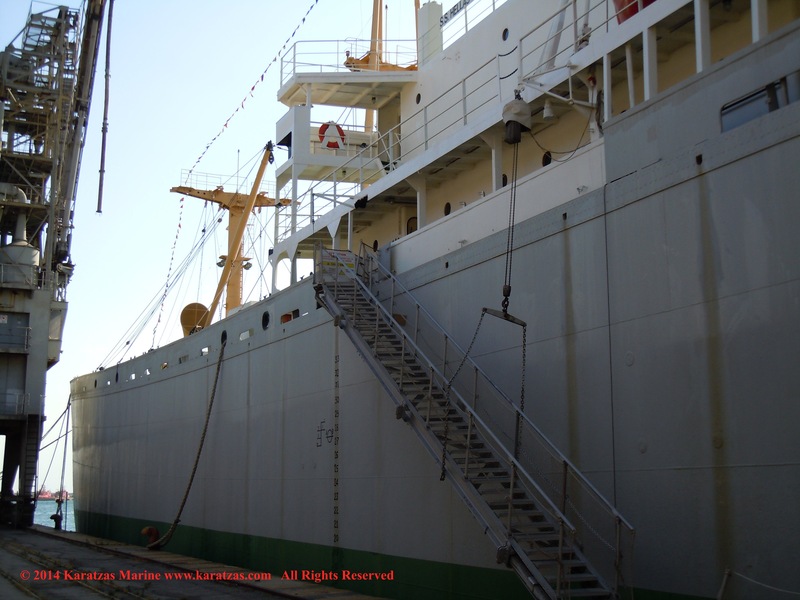 SS „Arthur M Huddell” had been in cold lay up from 1984 until her donation to the Greek committee in 2008. 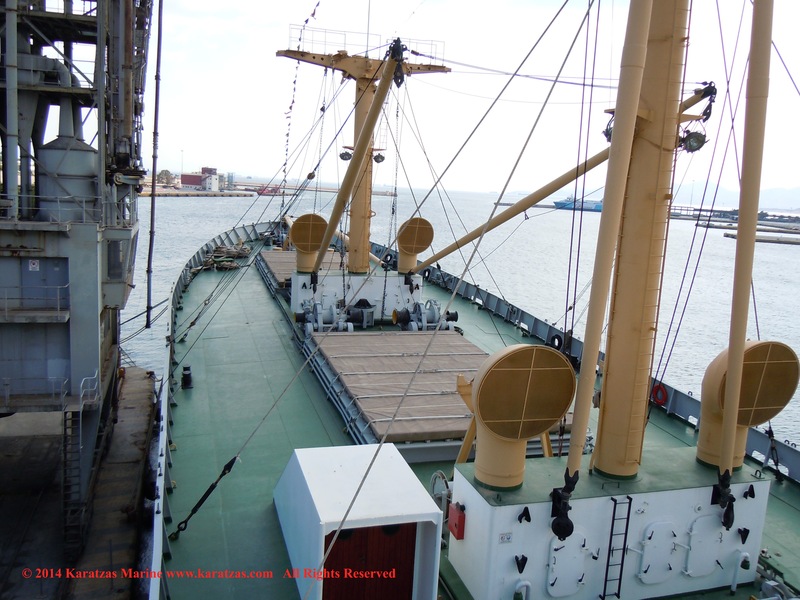 The vessel, unlike most of the Liberty vessels, has remained under the ownership of the US government throughout her life and she has never been sold and being part of the world merchant marine. During restorations at Salamis and Perama in Greece, several hundred tons of bird droppings had to be removed from outdoor and indoor areas, several tons of steel plate had to be replaced, several original, vintage or comparable parts from the era had to be sourced, as well as a new propeller and rudder (not original design however). The engine has been restored but presently not operational. The cargo hold immediately aft of the accommodation has been arranged as exhibit space, while cargo hold #3 immediately forward of the accommodation has been arranged to a reception hall for conferences and receptions. 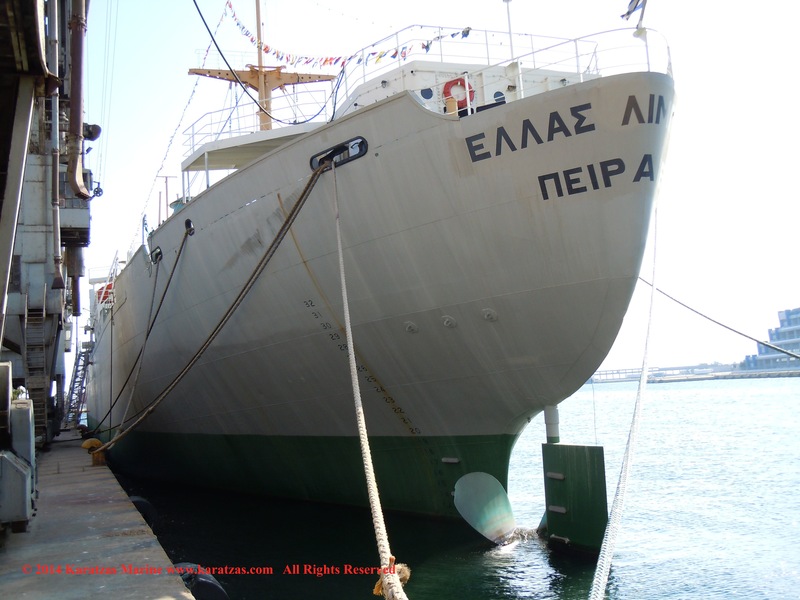 The vessel is presently docked within the property of the Port of Piraeus and open to the public. 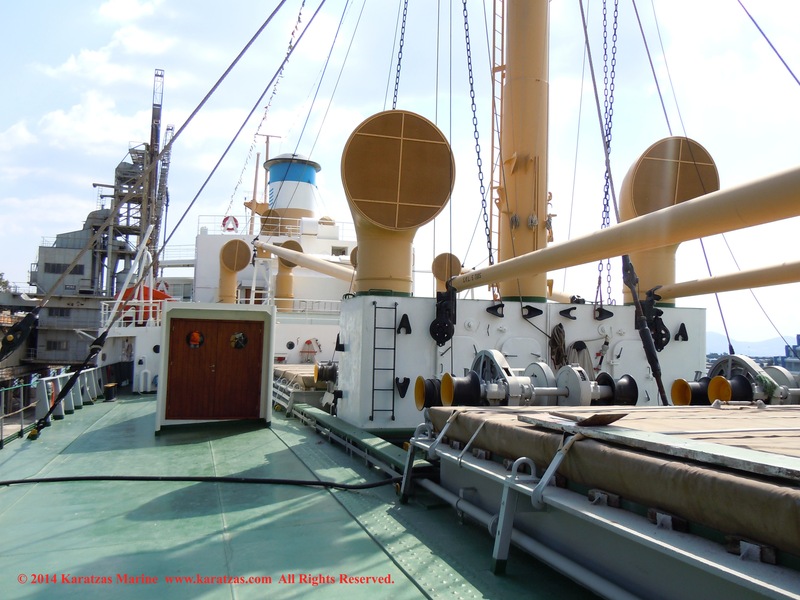 Still minor restoration work takes place and the ship is in the process of gearing up to fully operational status as a museum ship. 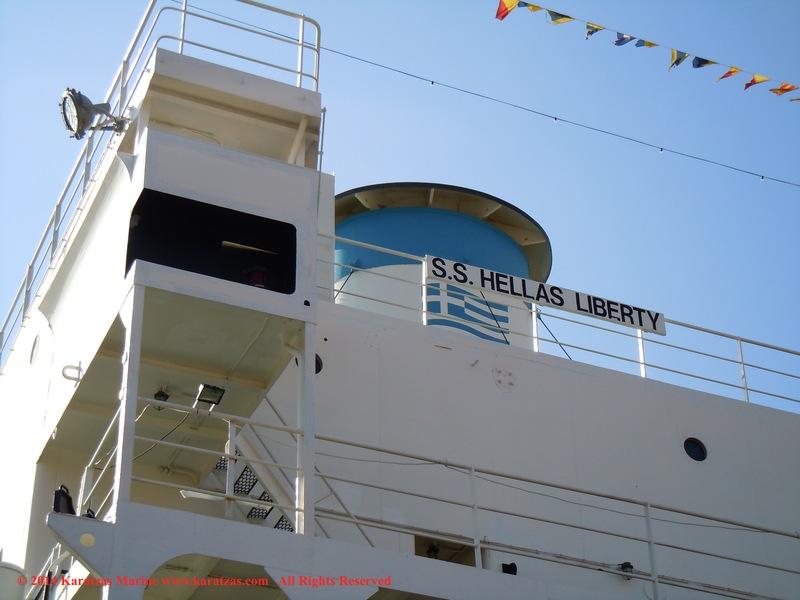 A tour of SS „Hellas Liberty” offers an opportunity to transcend time and travel through history, to times when ships were much simpler than today’s, when navigation was a skill indeed and dependent on rudimentary instrumentation and natural observations; bridge officers had to make do with a wheel, a gyrocompass and a magnetic compass and no more; next to the wheelhouse, on each side, one can observe the chart-room and another hot room filled with bulky equipment from where the ship’s ‘Marconi’ could communicate wirelessly with the outside world. In today’s ships, neither of these functions commands much space as charts now are in digital form and displayed on a screen and the communications room has shrunk to a couple of satellite phones. Liberty ships had been silent but instrumental factors for the outcome of the war effort. This out-of-necessity heavy ‘investment’ by the US-government in shipbuilding won the war effort, but also had many complimentary desirable effects; a small example: modifications for more efficient design and a streamlined production process allowed famous naval architect William Francis Gibbs to fine tune his approach to shipbuilding that eventually led to the construction of his masterpiece, SS „United States”. Liberty ships through private ownership after the war have been instrumental in rebuilding the world economies, primarily the European ones, and Greek shipowners and Greek shipping owe a great amount of debt to the circumstances and the design of these ships that provided the springboard to the world shipping stage. And, the efforts to save and restore the vessel to her original condition is testament to the historical value as her whole class. It has been a journey for the ship worth the costs and efforts and the visit to the ship worth a profound maritime lecture. 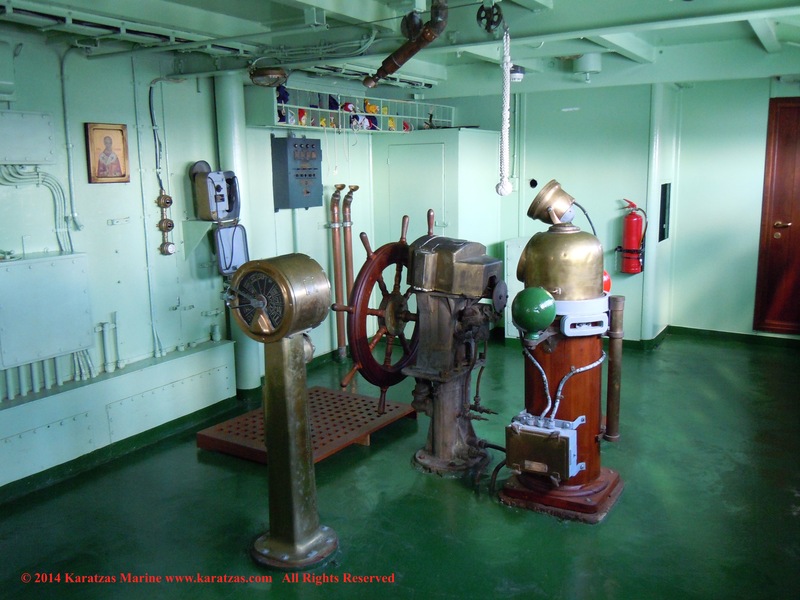 This entry was posted in Maritime History and tagged Basil Karatzas, Basil M Karatzas, Karatzas Marine Advisors & Co., Liberty Ship, Piraeus, Ship Pictures on June 24, 2014 by Karatzas Marine Advisors & Co..
Sold for preservation to Greece in 2008, and after extensive restoration was converted to museum ship, re-flagged under the Flag of Greece and re-named SS ‘Hellas Liberty’. 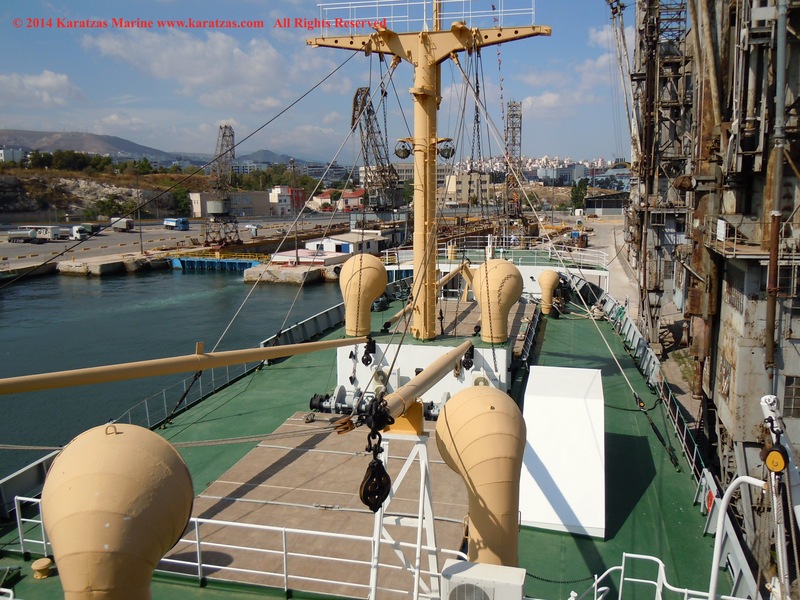 Presently moored at the Port of Piraeus, Greece. 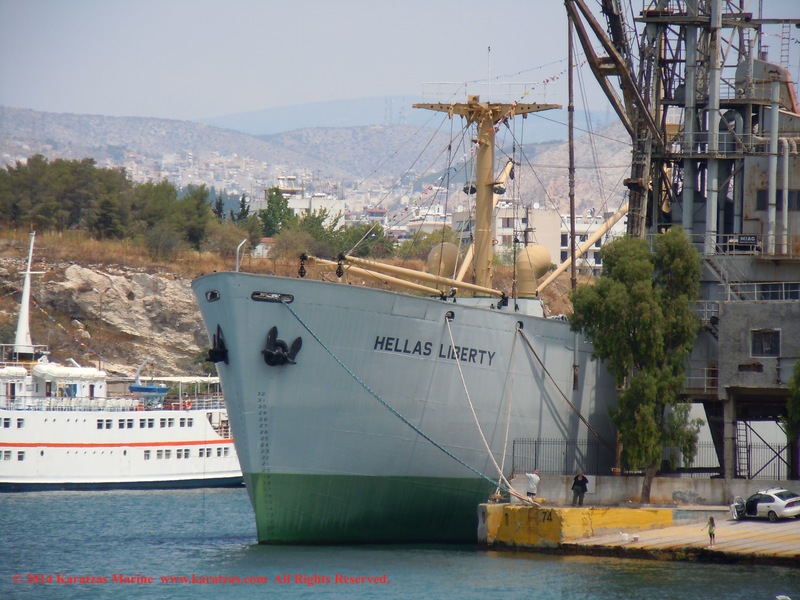 SS ‘Hellas Liberty’ is one of three Liberties remaining afloat, with the others being SS ‘John W. Brown’ and SS ‘Jeremiah O’Brien’ in the United States. 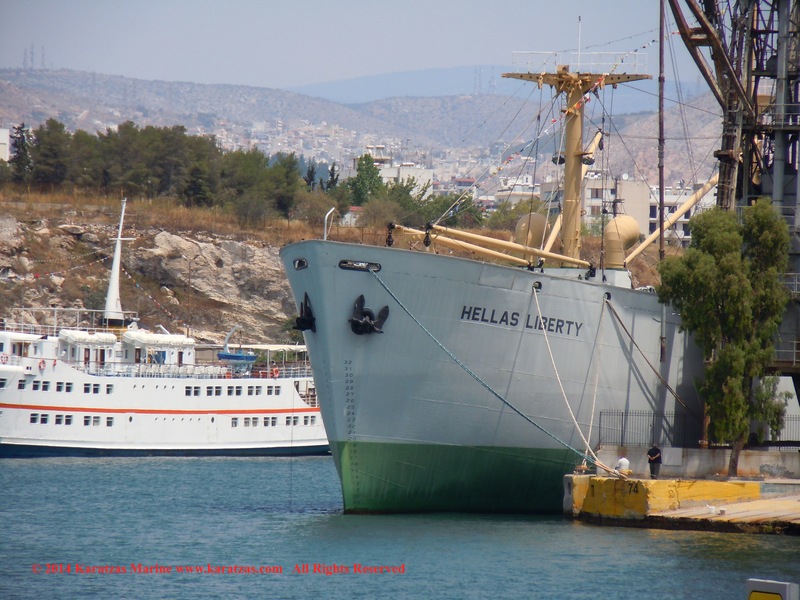 Museum Ship SS ‘Hellas Liberty’ – Liberty Ship built in 1944 at St. Johns River Shipbuilding, USA; restored and converted to museum ship in 2008 – 2010 in Greece. 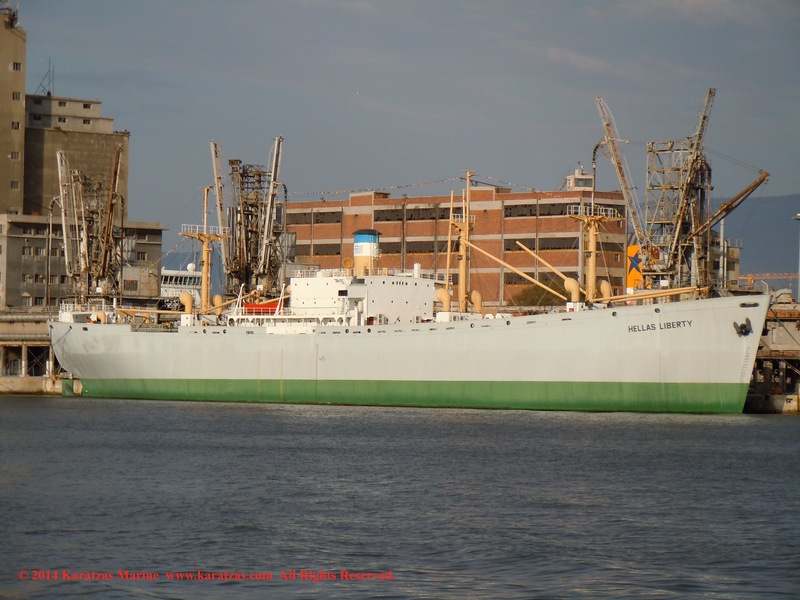 Museum Ship SS ‘Hellas Liberty’ – Liberty Ship built in 1944 at St. Johns River Shipbuilding, USA. 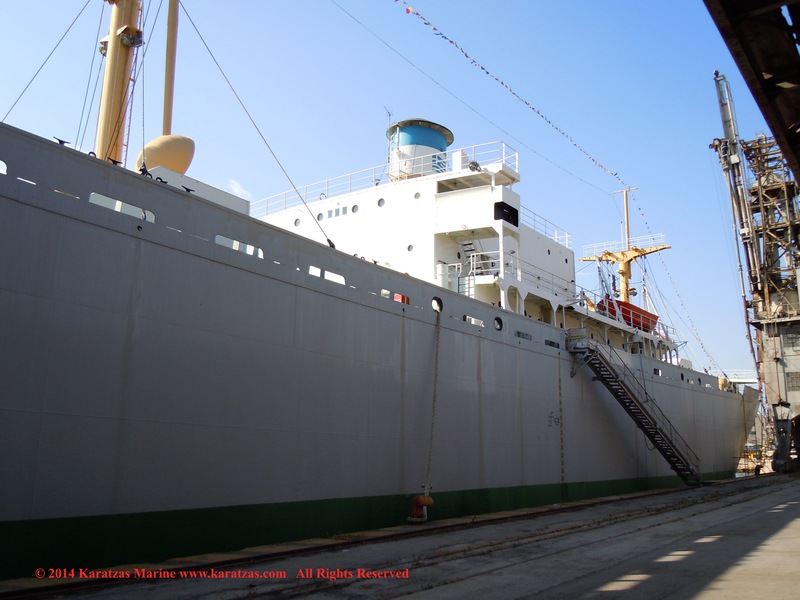 This entry was posted in Maritime History and tagged Basil Karatzas, Basil M Karatzas, Karatzas Marine Advisors & Co., Liberty Ship, Piraeus, Ship Pictures on June 14, 2014 by Karatzas Marine Advisors & Co..